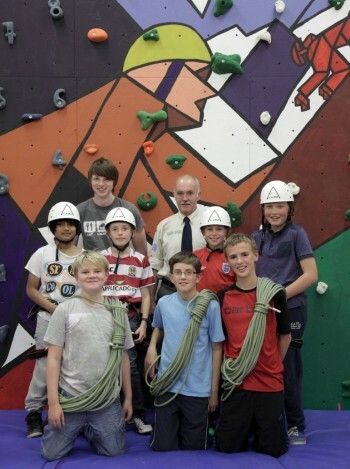 Cumbria Community Foundation’s Costain Fund supported the 2nd Maryport Scouts with the purchase of climbing equipment following a previous Coalfields Community Grant of £4,634 to install a climbing wall into their headquarters. Diane Robertson, Beaver Scout Leader said: “The equipment has given the young people we work with more confidence in themselves and each other. The older Scouts are now instructing younger Scouts in wearing and using the equipment properly, giving them a taste for instruction. The funding has allowed full use of the wall by all members of the group from aged six years to adult and allows the group to take part adventurous activities safely using correct equipment. The equipment and the installation of the wall has also allowed for personal development for the Scouts; confidence in self and others, physical skills and fitness, agility and a careful and safe thought process. To find out more about the Costain Fund visit the grant page or contact our grants team on enquiries@cumbriafoundation.org or 01900 825760.